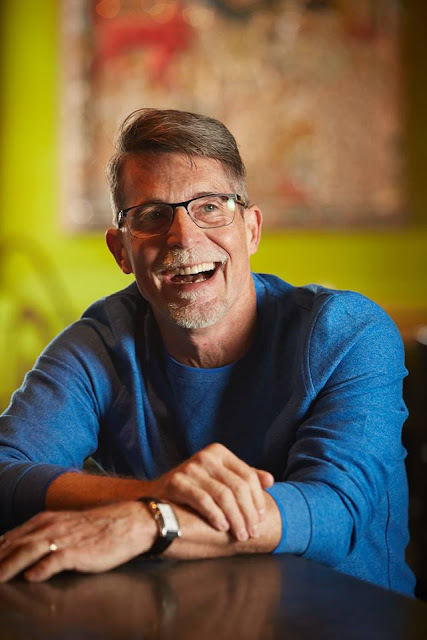 One of my favorite foodie personalities is Rick Bayless. He just has that calm, easy-going, soothing personality that makes him a pleasure to watch and he's so extremely passionate about what he does. I kind of think of him as the Mr. Rogers of food. Anyway, if you're also a big fan of Mr. Bayless, be sure to stop by Macy's on State Street this evening for a holiday cooking demo at 6 p.m.
Rick Bayless is a member of Macy's Culinary Council, made up of expert chefs from around the country who are dedicated to inspiring people to eat, cook and enjoy food at home. Bayless is a seven-time James Beard Award winner and host of the Daytime Emmy nominated show Mexico: One Plate at a Time. Bayless is also chef-owner of Chicago restaurants Frontera Grill, Topolobampo, Xoco and most recently, the West Loop’s Leña Brava and Cervecería Cruz Blanca. There's also a Frontera Fresca counter in Macy's food court. *Purchase must be made at Macy's State Street on November 8th, 2018. **One per customer, while supplies last and time permits.